Remember when you were a kid and went into the woods. You always picked up a large stick. You didn’t need help walking but used it to hit things like leaves. It was also to protect yourself against Bears and Tigers and Lions. 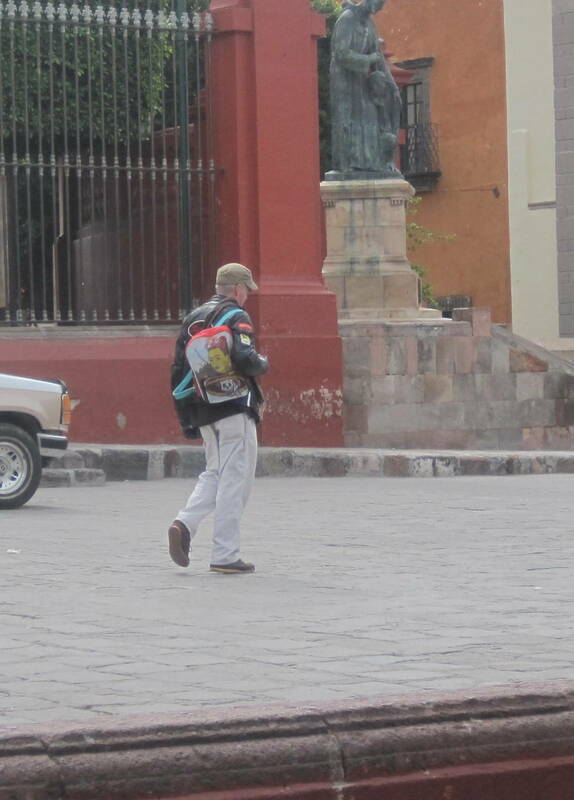 I don’t think there are Bears and Tigers and Lions in San Miguel and this man seems to be walking alright. Or is it that Teddy Roosevelt thing “Speak softly and carry a big stick”. Oh dear, I feel another political discussion coming on. I learned a wonderful word last night Plein Air. I am not sure of the spelling as I think the person had had too much to drink and slurred but it means Painting Outside. Imagine my thrill when I realized I could paint outside and be seen. 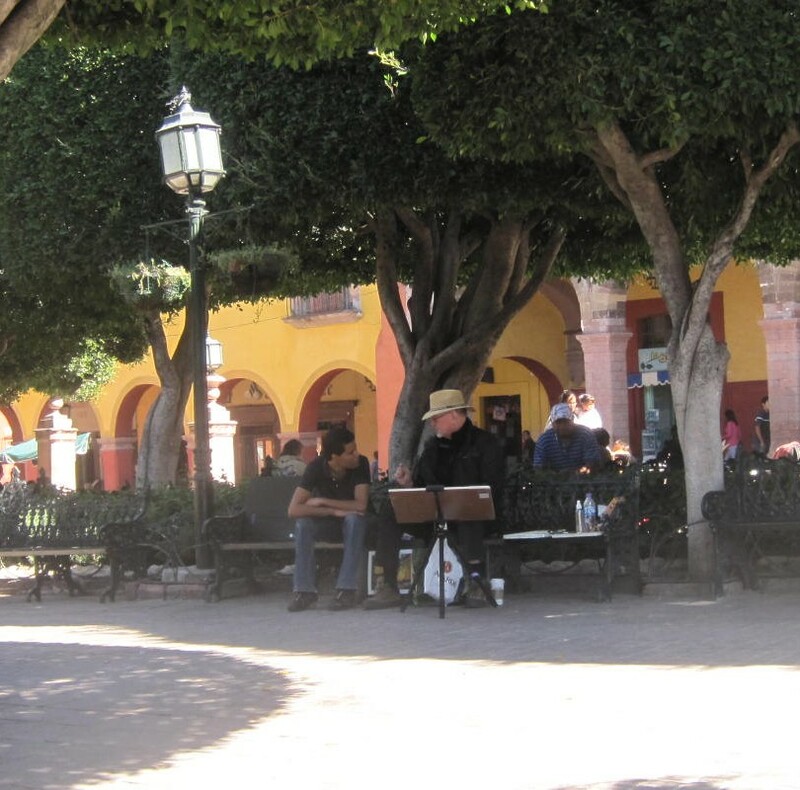 There are so many opportunties in San Miguel to do Plein Air. This is so much better than my studio as I am outside. I can talk to people such as this man is doing and get a coffee whenever I want. The problem is what to paint and that is quite a challenge for me as I haven’t painting yet. I am still drawing. My problem is what to do with Gwen. I sent her out yesterday to do some sketches so that I have something to put on my easel. I realized that you have to get up early for Plein Air and stake out your place as Plein Air is quite popular and the best places get taken early. So I sent Gwen out to set up and stake out my place. All I wanted was maximum view of me. My first problem was Wind. I need some clips as my art kept blowing all over the Jardin and people would pick it up and throw it in the trash. Now I know why you sign your work so that people can bring it back to you and not think it is waste. There’s something about seeing an artist at work that makes people extremely inquisitive, more likely to talk to a stranger, and prone to giving wanted opinions. This was an absolute bonus and so many people wanted to talk to me that there wasn’t a moment in which I could draw. A whole day talking about art. I am going to have to research this Plein Air thing some more as I like it. My shoes get dirty walking from one Art Gallery to another. Sometimes an artist just has to stop and smell the roses and get a shoe shine. Today I perched on the Shoe Shine Chair and thought about Art and got rid of all the Art Grit I have accumulated over the last month. An assistant – the lovely Gwen Washburn. One framed drawing and two serviettes with toothpicks in them. 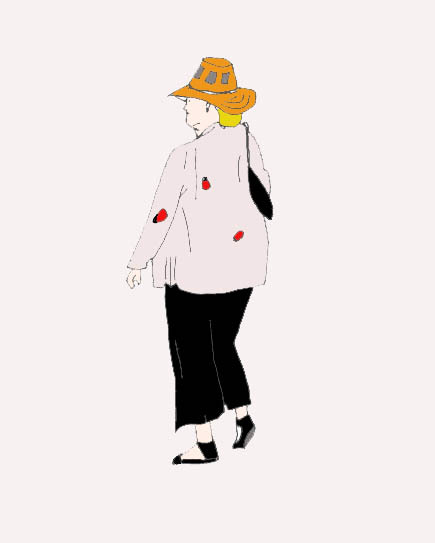 A beret and matching cloak. If only I could stop drinking. It isn’t even noon. My trip a while ago to Fabrica Aurora made me realize that Art can be much simpler than I have been making it out to be. Not everything is a painting as I found out. 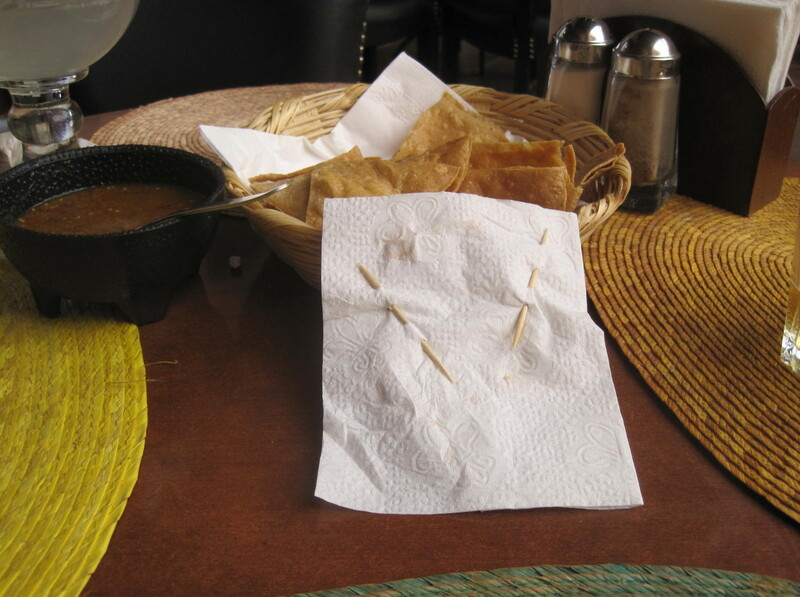 So imagine my delight at lunch when I took my serviette and some toothpicks and created a piece of art. I call it Picking My Way. So simple and I was using materials at hand. 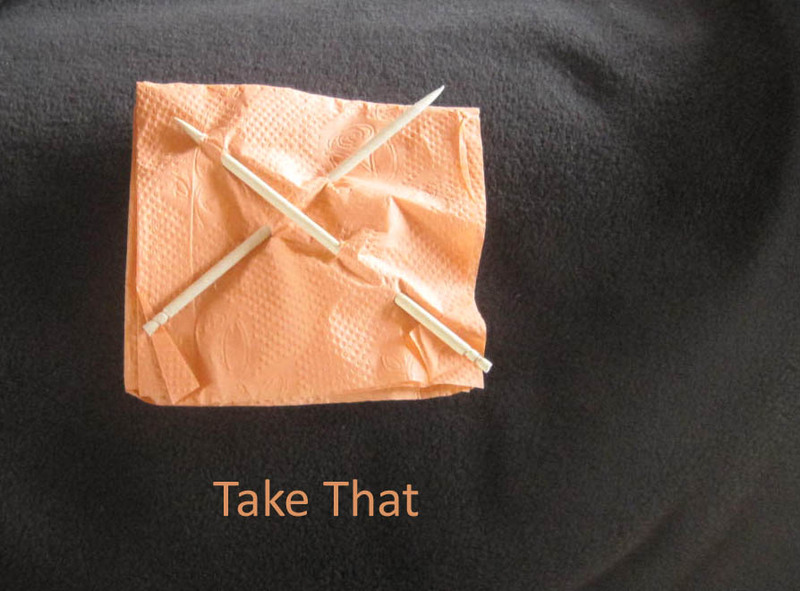 I am sending Gwen out to find more sticks and serviettes. It makes her happy. 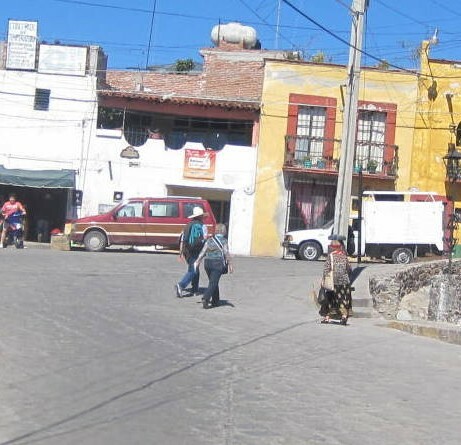 The moment you arrive in San Miguel you are faced with a decision – a decision that can change your life. You can only fight the Magic so long before it drawns you in. She waits in the doorway, pondering all the decisions she has made in life and all the disappointments that have led to her standing in the portico watching. Flashback to her first and second marriages and how they fell apart even though she had done everything for him. Flashback to her children who don’t call often enough. 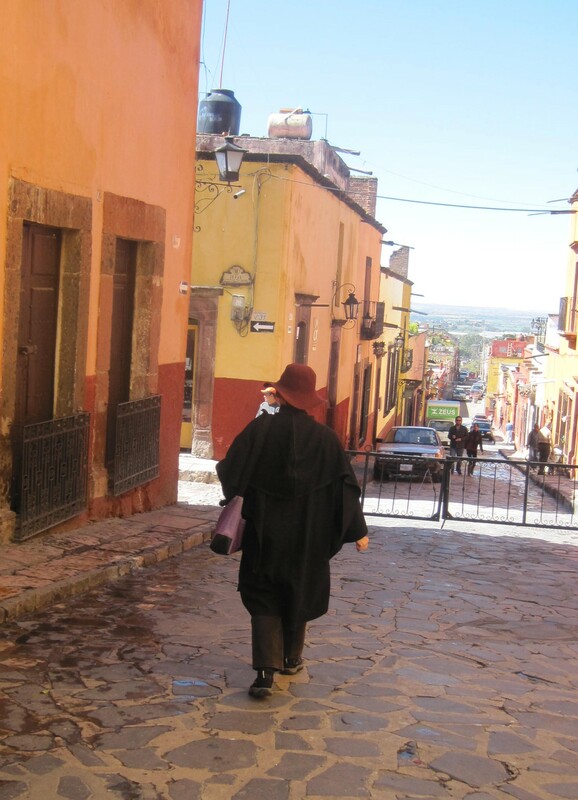 Flashback to her girlfriends saying why not spend a week in San Miguel. Flashback to Happy Hour at Harry’s and drinking a bit too much. Suddenly she sees a Gang Member. Perhaps the Rug catches her eye or the parasol or the small dog on a leash. She knows in that instant she must either move into the Magic or away from it. 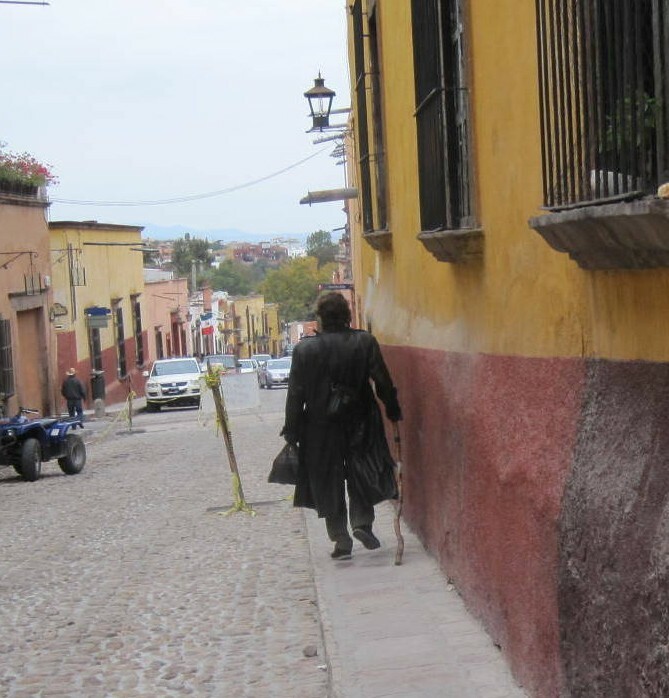 Such is the Magic in San Miguel. It catches you unaware as you simply stand and watch life pass by. 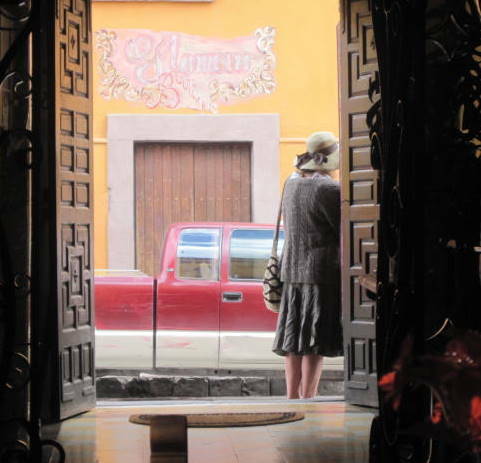 There are many doorways in San Miguel and many single women looking for Magic. One of my favourite comedy shows is Little Britain. Emily Howard and Florence are two transvestites on the show. They spend their time doing Ladies’ Things and fooling no one except themselves. 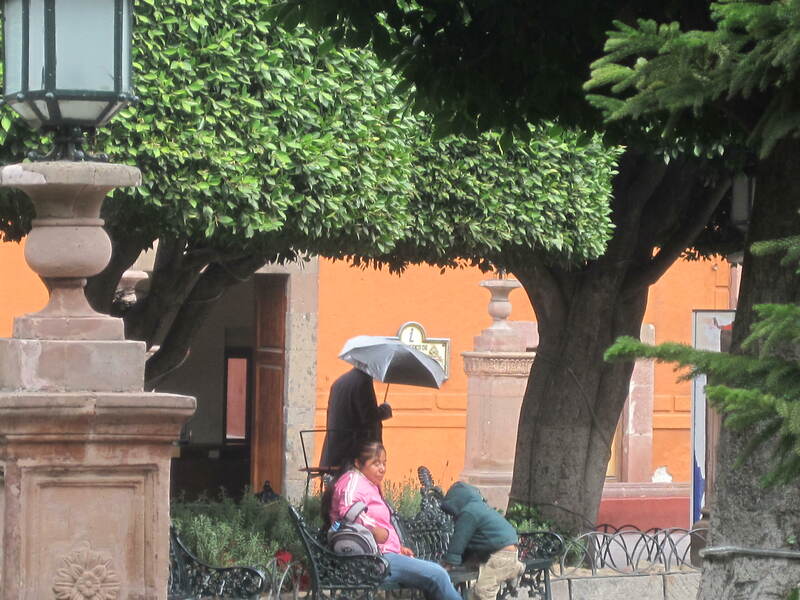 Imagine my shock when I saw three men in San Miguel doing Ladies’ Things. This man is carrying a Ladies’ Umbrella. 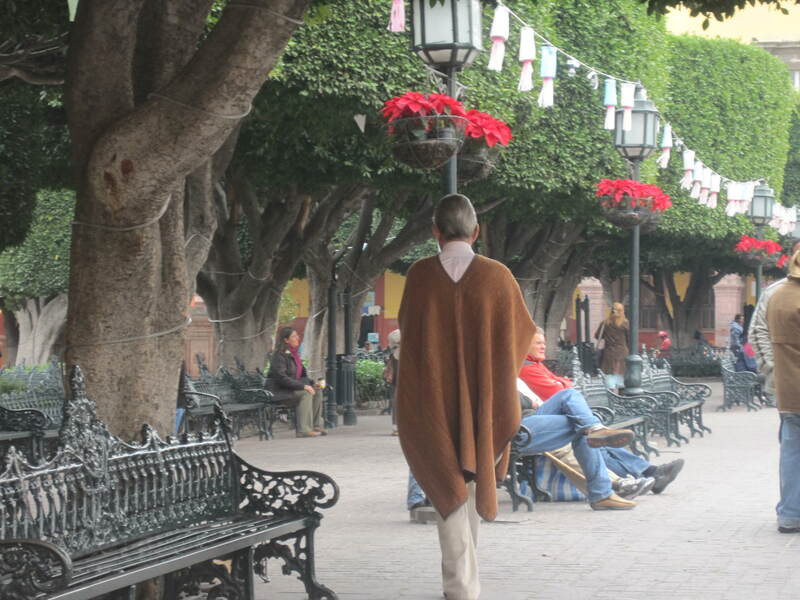 This man is wearing a Ladies’ Cloak. This man is carrying a Ladies’ Bag. 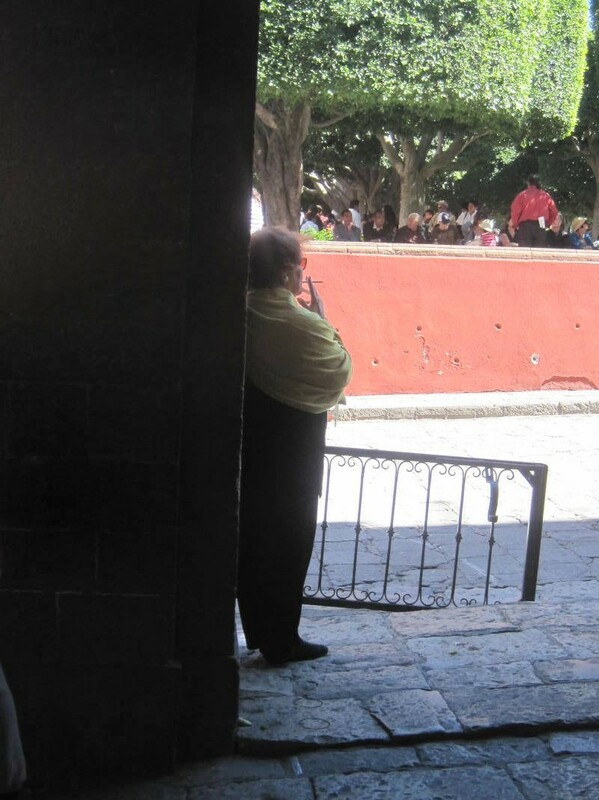 It is so nice to see there are men in San Miguel who are not afraid to do Ladies’ Things. 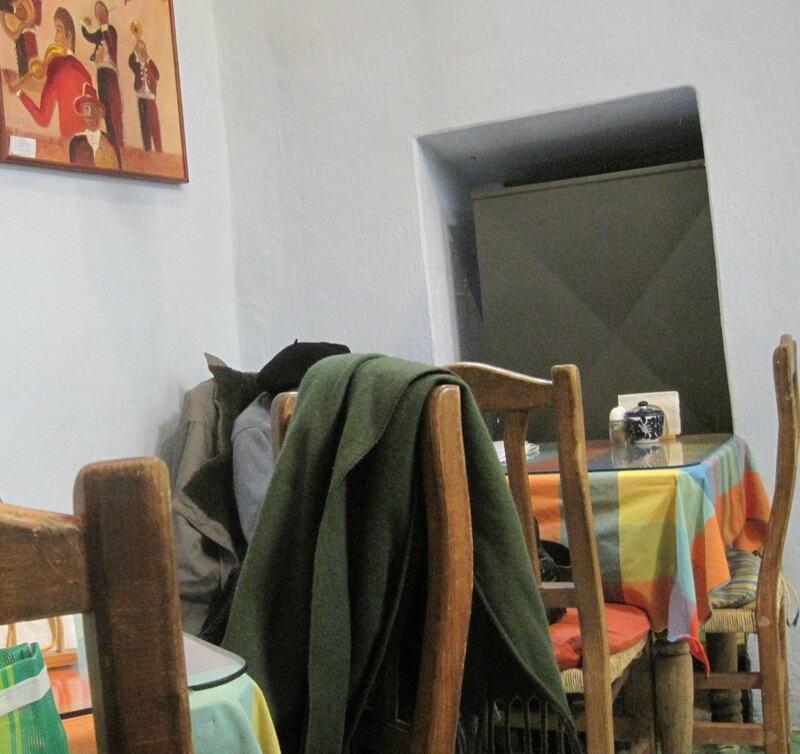 I have been using the wrong word to describe clothing choices in San Miguel. When I use the word Cape, I always think of my childhood hero Superman. I know Supergirl wore a cape but when I googled Wonder Woman I could find no picture of her in a Cape. There don’t appear to be any Super Heroines who wore Capes. More googling revealed that the correct word was Cloak. 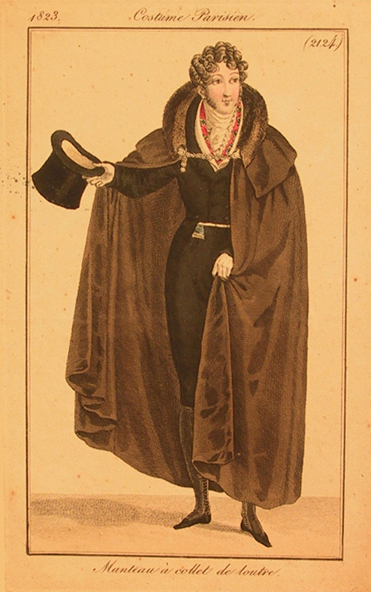 Cloaks are a staple garment in the fantasy genre due to the popularity of medieval settings, although fantasy cloak designs normally have more resemblance to 18th- or 19th-century cloaks rather than medieval ones. They are also usually associated with witches, wizards and vampires; the best-known stage version of Dracula, which first made actor Bela Lugosi prominent, featured him wearing it so that his exit through a trap door concealed on the stage could seem sudden. When Lugosi reprised his role as Dracula for the 1931 Universal Studios motion picture version of the play, he retained the cloak as part of his outfit, which made such a strong impression that cloaks came to be equated with “Count” Vladislav Dracula in nearly all non-historical media depictions of him. Fantasy cloaks are often magical. For example, they may grant the person wearing it invisibility as in the Harry Potter series by J. K. Rowling. Alternatively, they may reflect magical projectiles, as the “cloak of magic resistance” in NetHack. Because they keep a person hidden, the phrase cloak and dagger has come to refer to espionage and secretive crimes: it suggests murder from hidden sources. “Cloak and dagger” stories are thus mystery, detective, and crime stories of this atmosphere. Now I understood. The word Magical Properties is so San Miguel. 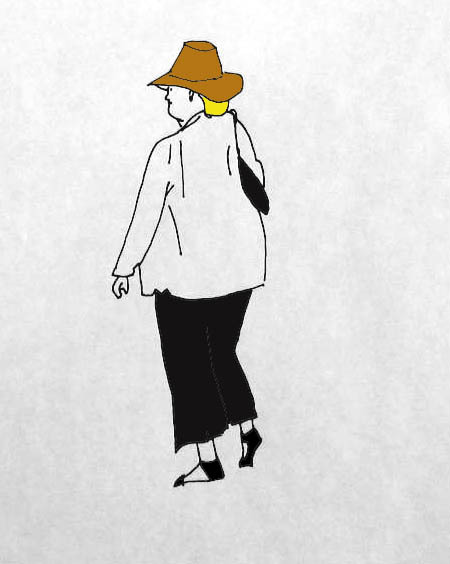 This woman doesn’t think anyone can see her. She thinks she is invisible. All along I had thought that these women wanted to be seen and now I realize they think they are invisible. 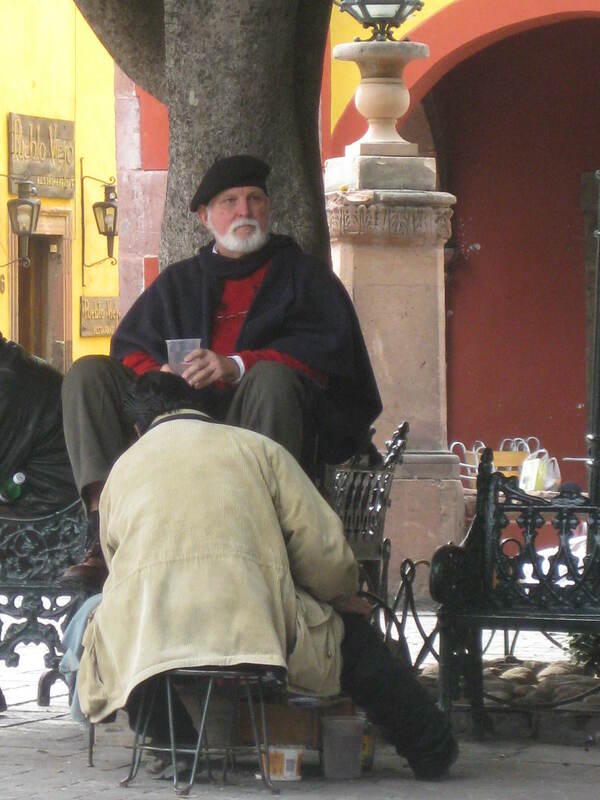 One of my favorite games in San Miguel is Spot the Expat. 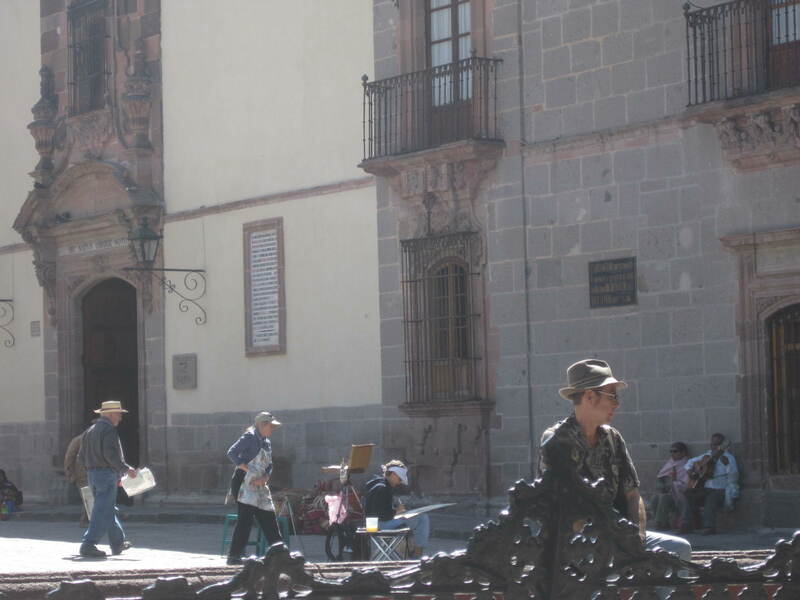 It can be a challenging game as Expats can be tricky given a little time in San Miguel. Once they start to buy local products then there is that mixture of Expat and Mexican that causes a moment of consideration. I have found lately that a good way to unwind is to have lunch. I call it an Art Lunch. I can take my empty sketch pad and my beret and sit in a restaurant and be Arty. I feel so Left Bank, just sitting there, drinking Lattes and staring off into space. Sometimes people ask to join me and inquire about what I am Working On. If I say more, I know they might ask too many questions. I think tomorrow I will try the Cafe Monet. The name implies Art.